My best friend in the whole wide world, Amber, is getting married tomorrow. This woman has been by my side through everything I've ever went through in my life. She's been there through failed relationships, through the birth and raising of my kids, and she has been there when I just needed someone to be myself around. Amber and I have definitely been through a lot. And after patiently waiting, she has found the man of her dreams to marry tomorrow. I'm have been so emotional over this because, she deserves this. She deserves to be utterly happy and I'm so happy for her. Some people may consider that when a friend gets married, they are losing them. But I don't feel that way at all. I feel like I'm gaining ANOTHER best friend (Andrew, the groom) to be stupid and silly with. Now Andrew and I haven't always seen eye to eye, but I know he's a great guy and I don't think there's anyone else in the world who would love my best friend better. People like Andrew and Amber are hard to come by in life, and it's just fitting that tomorrow, they will become one. I'm crying my eyes out as I"m writing this because they both mean so much to me. So Amber, if you read this, I want you to know that I couldn't have made it through some horrible parts of my life if not for you. 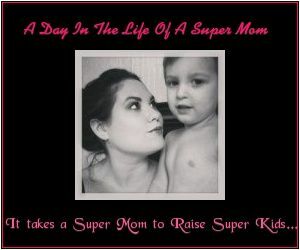 You have made me stronger and more confident and you have made me feel like I am, well, a true "Super Mom". I can't wait for you to have a little one, because you will be one fantastic mother. I love you so much and I wish you all the happiness in the world!